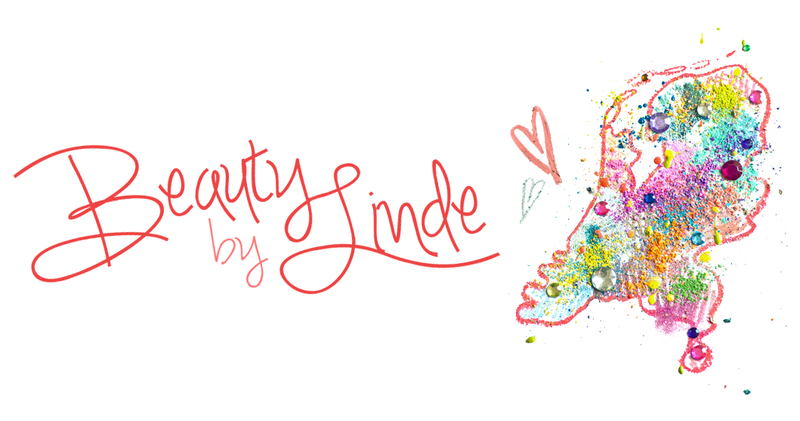 Beauty by Linde: Summer Survival: Soothing Sunburns! The unthinkable happened during the past days/weeks: The weather in Holland has been great! Maybe even too great, since we went from depressing and rainy, to burning hot 'please-don't-make-me-wear-any-clothes' weather from one day to another. Of course I was psyched, but my poor, pale skin not so much. I survived about three days without crazy sunburns, but then my allergies started to pop up and suddenly I was covered in countless annoying itchy bumps. So I started to dig through our kitchen to look for some naturally soothing remedies, with success! These are some easy peasy options for you to try, in case your tanning-spree has gotten slightly out of hand. Egg-white works wonders when it comes to burnt skin. Simply separate the egg whites from the yolk and apply it to the affected area using some kind of a brush (I wouldn't recommend using your most precious make-up brush for this - a paintbrush works fine too). This will relieve the burning sensation instantly and it also helps diminish the itchy bumps, yay! It'll feel/look kind of weird after a while though, since it dries on your skin, which makes it feel kind of tight. But no worries, just rinse it off if it bothers you. 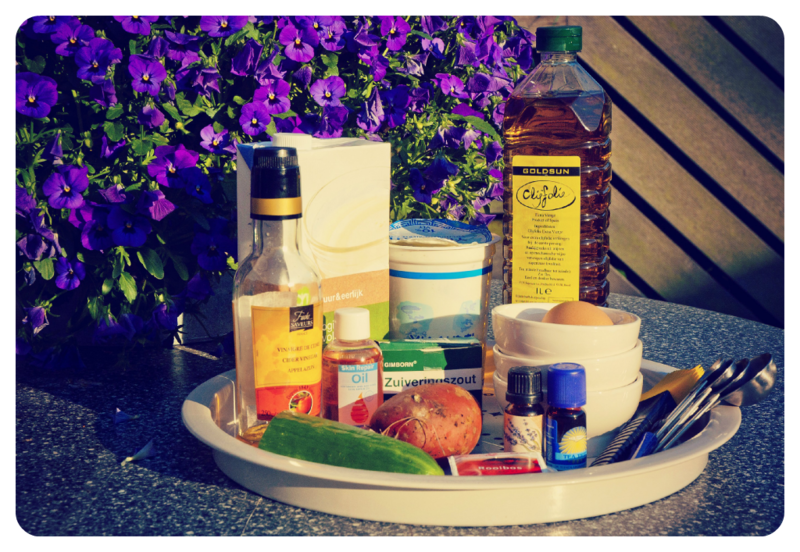 The second method I found, was using a mixture of olive oil and essensial oils. You can also replace the olive oil with cool water if you don't like things to get too oily. The olive oil does add value to the mixture, however, since it's very nourishing to the skin. 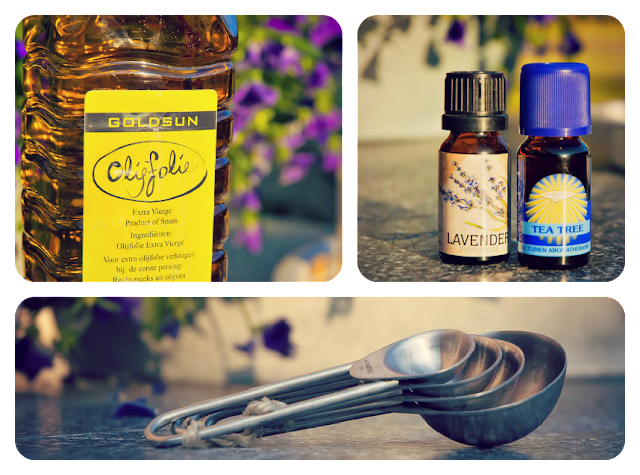 Just mix the desired amount of olive oil with a few drops of eucalyptus-, tea tree- or lavender essential oil. If you like a fresh, tingly sensation (which may not sound too attractive combined with a sunburn, but it's actually very refreshing), go for eucalyptus or tea tree. The lavender oil is said to simply lighten the burning sensation. However, I must say that the egg white method worked better for me, but I can imagine this method working fine for less severe sunburns. This particular method is one of my favorites, because it's super quick and easy, it doesn't leave a mess and it really helped me out. All you're gonna need is a raw potatoe. The active ingrediënt here is starch, which has soothing properties. Just what we're looking for! All you do is slice up your potatoe and rub the juice over the affected area. I like to slice mine in half, rub it onto my burnt skin and just cut off a thin slice whenever I feel like the surface has become dry. 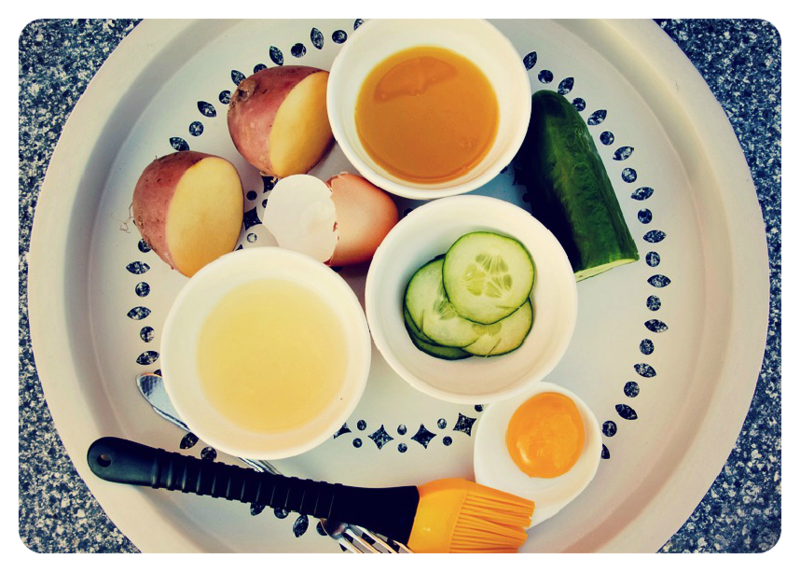 If you want to, you can mash it up and apply it to your skin as a paste (although I personally don't feel the urge to walk around with mashed potatoe all over my body, but hey, it might just be your cup of tea :). A very well known product that'll ease the pain is cucumber. Either mash, slice or squeeze it; as long as its juice ends up on the affected area. Preferably use a peeler if you want to use slices, to make sure they are thin enough to stay put on the skin. The pain should be way less stingy after about ten minutes. The number of home remedies you can find on the internet is overwhelming. Another option is to soak a towel in apple cider vinegar and to place that onto your burnt skin (although the opinions on the effectiveness of this product vary greatly, since a lot of claims saying it contains all kinds of vitamins, enzymes and anti-oxidants seem to be unfounded). You could also try applying some Skin Repair Oil (which is pretty much the same thing as Bio Oil, but cheaper). This doesn't have cooling properties, but I do love using this on irritated skin or scars, to speed up the healing process. 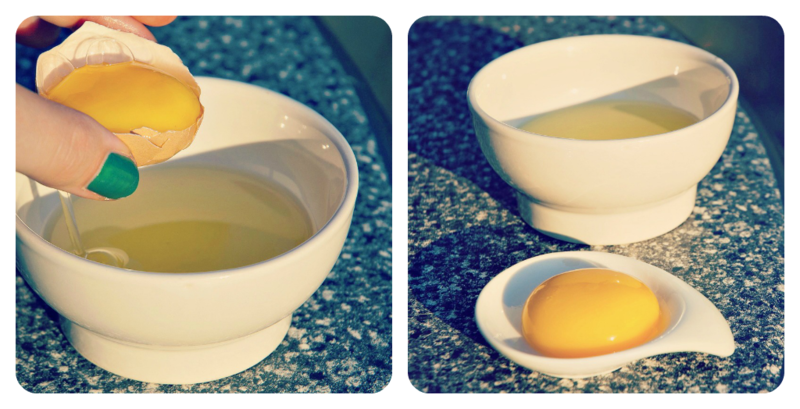 One of the most common home methods I've encountered, is using cold tea. I actually didn't try this one myself, but I've read a lot of positive reviews saying it really helps ease the burning sensation. Soak a few towels in it - use a minty kind of tea for extra refreshment -, or if you're looking for a more drastic approach, take a lukewarm tea-bath! 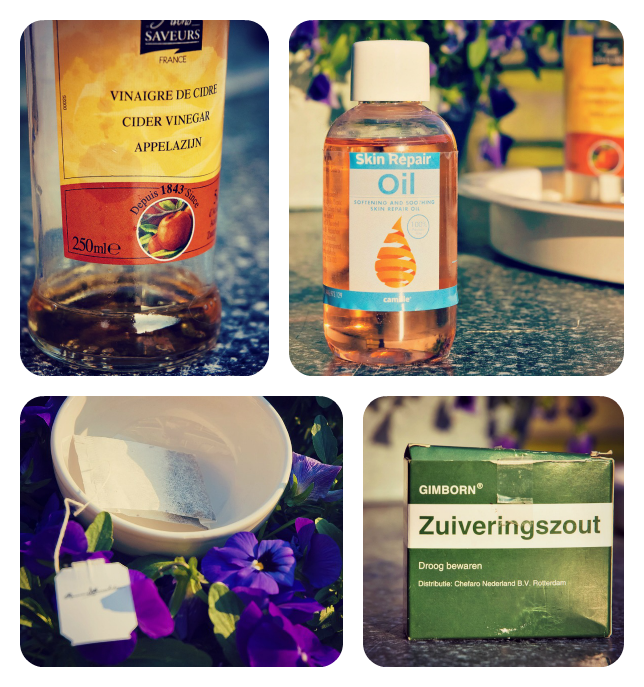 And last but not least, you could use a paste containing baking soda (zuiveringszout) and water. This will disinfect the skin, reduce the stinging pain and make sure the skin remains moisturized. I hope this helped some of you out! See you next time!